Timeless Chesterfields has been exporting its hand-crafted sofas, chairs and occasional furniture worldwide for 35 years. Matt Deighton, their Managing Director, shares his tips on how to expand into an international market as an SME. If your SME is thriving in your home country, then the next step is to expand your operations abroad. Exporting your goods or services offers you access to new markets and a far greater scope to grow. In fact, according to the EU, an estimated 90% of global growth will originate outside the EU in the coming years, making this the perfect time to expand if you have the infrastructure in place. Furthermore, according to research conducting by the government, it is approximately 11% more likely that a company will survive if it does business overseas. 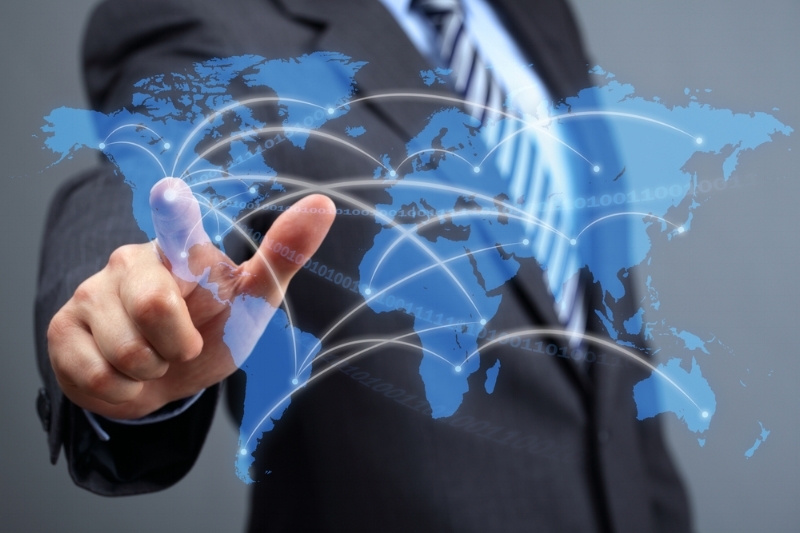 However, going international can seem like a daunting task to any business owner. To help you along the way, here are our tips on expanding into an international market. Does your product or service translate to overseas markets? If you’re selling a service such as accountancy or law, you may find that there are such vast differences in legislature between different countries that it isn’t viable for you to expand abroad. However, if you produce a physical product such as clothing, food and drink, or furniture, you’re likely to be able to expand into the international market quite easily. One thing to keep an eye out for is a gap in the international market. For example, IKEA established themselves as a household name across the world because they saw a gap in the global market for flat-pack furniture that was not being capitalised on by any of the companies native to the countries they now dominate. Study examples like this closely — IKEA made a name for themselves in country after country with their sleek, affordable, and easy-to-assemble flat-pack furniture, but have now expanded out of that niche to dominate sectors like homeware, garden accessories and, most recently, solar panels. Does your company dominate a niche sector in your home country? If so, there’s every chance you could expand that internationally, and then expand into similar sectors once you’ve established your company’s reputation. The cornerstone of any international business operation is excellent transport links. If you have a courier who is reliable, efficient, and always just a phone call away, then you will be able to have a flourishing worldwide business. However, any system is only as strong as its weakest link, and unreliable or inefficient transport links are going to hamper your business’s development abroad. Do your research and find the best option for you, as your transport links are going to be an essential element of exporting your products around the world. In our case, we're able to offer competitive shipping quotations through our experienced and reliable shipping partners. They know how to handle our goods and deliver a service our customers expect from us, and in our experience, developing a good relationship with a top-quality transport provider is one of the best things you can do to ensure your success overseas. While it’s common knowledge that international deliveries cost much more than their domestic equivalent, a crucial part of providing effective worldwide delivery is giving your worldwide customers the total quote upfront. This should include a breakdown of the price of the goods, the insurance, the packaging, the shipping, and the tax. Never hit your customers with hidden costs at the last minute or after they’ve made the purchase, as this will instantly dissolve any goodwill you’ve built up with them, and they’re highly unlikely to shop with you again or recommend you to a friend or family member. When you expand into the international marketplace, you’ll quickly learn that language barriers can be a huge problem. Firstly, you’ll need to hire a bi-lingual copywriter to translate your website to the language of the country you’d like to expand into. Don’t be tempted to just enter the text on your site into Google translate and think that will do, as consumers are sure to stay well clear of giving away their hard-earned cash to a poorly translated website. Having your website translated into the target language is just the beginning of your international operations — next, it’s crucial that you hire some multi-lingual staff, if you don’t have any at your company already. Another way around the language barrier would be to hire the services of a freelance translator as and when needed, but this can be expensive and inefficient, not to mention a hassle whenever you need to speak to a non-English speaking client or customer. Whichever route you choose to go down, it is vital to overcome language barriers and ensure that you and your customers understand each other. Keep these tips in mind when you expand if you’re planning on expanding into the international marketplace and you’re sure to make a success of it.